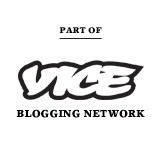 In 2005 it was T-shirts. in 2010 it was Riso prints. Now, in 2015, everyone’s making pin badges. Pin badges – are a great vehicle for artwork: that smooth enamel paint and the tough, hard-wearing grooves of the steel make them feel, as well as look, great. You don’t need to be too precious with them – you can chuck them around, they can end up in the wash and they are still as good as new. They’re pretty cheap to manufacture, and they probably have a bigger audience than a print: everyone loves them. Old people. Kids. You can even get your dog to rock one on his collar. Perhaps they’re booming now though, as, like Emojis, they can quickly gratify your personality. They start conversations. They illustrate your emotions: looking to expose your inner goth? Try Bruised Chin’s Ouija pin. Explorer’s Press’s Sensitive Artist goes out to their pin-making peers. Lazy Oaf’s So Broke speaks for itself… they’re conversation starters. 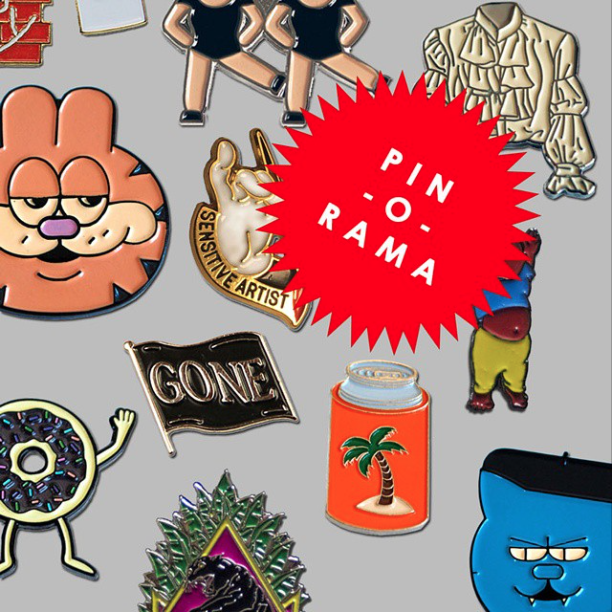 ‘Pin-O-Rama’, opening April 2nd 2015 at Beach London, will be an exhibition of recent pin-badge designs by a variety of artists, designers and companies. Featuring pins by Goodhood, Lazy Oaf, Gasius, Carl Partridge, Enamel Chin, Depop, Heresy, Catalogue Library, Bruised Chin, Malarky, 45RPM, Valley Cruise Press, Explorer’s Press, Miscellaneous Adventures and many more.